Walking in light with pure darkness in her eyes. 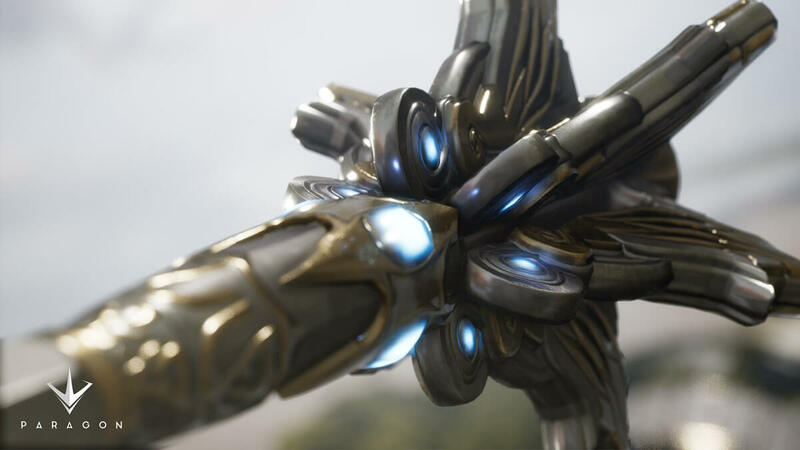 Serath was announced to join Paragon roster of Heroes on Jan-05 with the reveal trailer below and became available on Jan-10 with the .36.0 update. She is a melee carry with split personality. Despite being a close combat Hero Serath has enough tools in her kit to stick to her target and even do melee damage from the distance. Her main feature is capability to weaken her opponents and deal bonus damage over time. In addition to that Serath has exceptional re-position and damage mitigation tools that make her hard-to-master but rewarding Hero to play. - Angelic Smite (Basic Attack) - A melee Basic Attack with very good scaling. Deals additional damage while Ultimate is activated. - Chastise (Alternate Ability) - A short range AOE damage and Slow ability to help Serath stick to her target. - Heaven’s Fury (Primary Ability) - A long range AOE damage dealer combined with immunity to any incoming damage. - Ascend (Secondary Ability) - A reliable re-position and terrain traversal ability. Very versatile tool to help Serath chase and escape. - Heresy (Ultimate Ability) - AOE damage dealing ability that applies Burn and Weakness. Makes enemies suffer from am burst damage while having their DPS lowered down significantly. See more details on abilities in Serath Build Guide. Serath may have a relation to Countess - from Sevarog's Lore (here) and from Serath release trailer (here). Serath scales very well with Power so you may even want to go all-in for Power Cards. Her kit has enough options for escape and peel. Serath will also benefit from Lifesteal and Crit as any carry. Keep in mind that Heaven's Fury does both Crit and Lifesteal since it is a modifier for Basic Attacks. See more about Serath's Paragon Cards in Serath Build Guide. Pick Serath if you have allies with solid durability and CC. This way you will be able to deal devastating damage in late game. Also make sure you have a ranged support Hero with you so that there are no delays during early game. To counter Serath you need Heroes with reliable CC or Slow who will prevent her from escape. Dekker, Rampage or the Fey will work here. Lt. Belica with her Void Drone can be a very good counter to Serath due to her low cooldown abilities and dependency on Mana. Crunch and Khaimera are also good counters since they both have tools to Slow, Stun and stick to the target.